What can I say about last week? It was a blend of fitness and social activities. This is my favorite way to live. In moderation. Enjoying life but also keeping healthy. My workouts were relaxing and intense, but surprisingly I didn't hike at all! The week ended on a really high note though. Monday - I finally got my yoga mat back out after more than a week of slacking on my challenge. It was a powerful workout but the reclined cow pose gave me an awesome stretch in my glutes at the end. I might like it better than pigeon pose. Tuesday - I headed to Central for a Feng Shui workshop (which was super interesting!) and then ran some errands. I was fasting, so I let my walking around be my fitness for the day. Wednesday - Got in a good strength session at Bodypump. I'm slowly increasing my weights and learning it's a fine line sometimes between too heavy or too light. Thursday - Started the day with a chill and thoughtful yoga session and then explored the popular Chinese New Year Flower Market at Victoria Park. Friday - My favorite workout of the week was Step class because ---> look at those calories burned! This class is an updated version of the step aerobics I did back in the 90s at the YMCA. We still do those basic step moves, but there's also a round of circuit training. I'm so happy that my knee does ok during this workout because it feels so good to work that hard. Saturday - 1000 reps (yes, 1000!!) at Bodypump. Got that bit of information at the start of class. Sunday - For months I've been enviously watching runners in my neighborhood and wishing I could join them like I used to. Today I took my interval run to the streets and LOVED feeling like I'm back in the game. I ran for 22 minutes - 30 seconds running and 20 seconds walking. The last half mile or so was a good uphill climb too. Total = 1.70 miles. How did your week start and end? What was your high note? 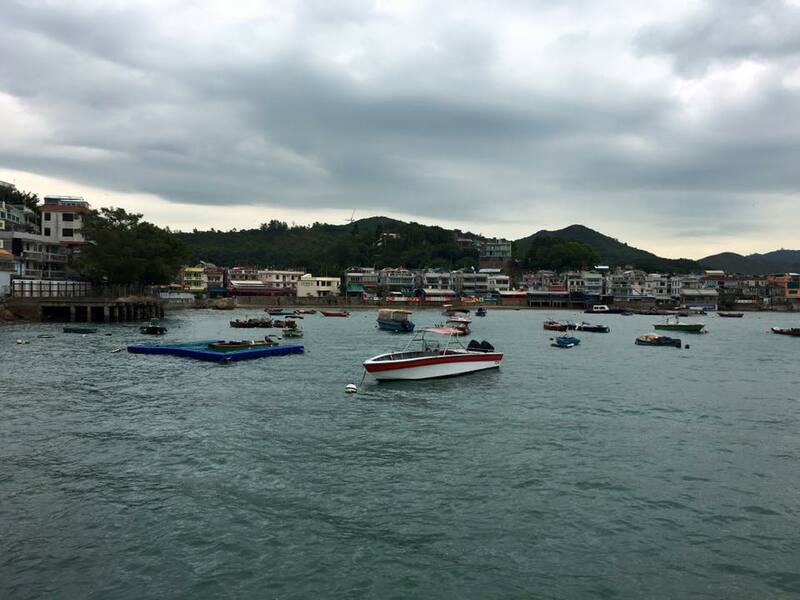 Lamma Island is a great place to escape the concrete jungle of Hong Kong and it is only a short ferry ride away. There are great trails to explore and most are family friendly. It felt good to get away with the AWA hiking group and unwind, exhale, and relax for a few hours. We met up in Central and took the #70 bus to Aberdeen where we caught the Lamma Island ferry at Aberdeen Pontoon. From Aberdeen we arrived in the small village of Mo Tat Wan and were greeted by a couple of friendly dogs and this lovely little beach. We followed the scenic coast path around the first big hill, Ling Kok Shan, passing through a couple villages on our way to Sok Kwu Wan. Sok Kwu Wan is a farm fishing village that also has very nice restaurants and the Tin Hau Temple. You can also catch the ferry back to Central from here. Near the Sok Kwu Wan Bay beach are the Kamikaze Caves which were supposedly built during WWII by the Japanese to house speed boats that could be used on suicide missions. The war ended before the caves were finished, so they were never actually used. Along the path to Yung Shue Wan, we passed Lookout Pavilion which overlooks the closed quarry. Our hiking day need in the village of Yung Shue Wan, the main populated living area on Lamma Island and where we had plenty of options for lunch on the waterfront before catching the ferry back to Central. 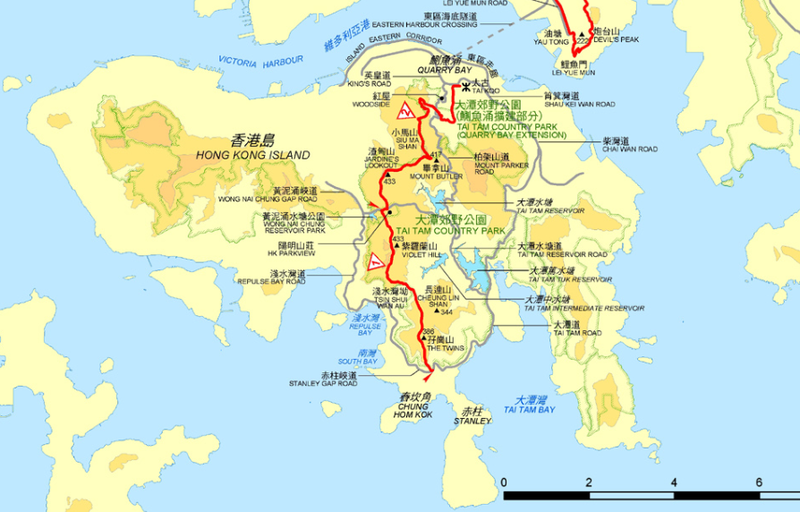 I first did the Lamma Island hike with the SWIC hiking group on Thanksgiving Day in 2015. We did the hike in reverse and it was just as good.